The state of a light depends on the number of factors of the corresponding number. 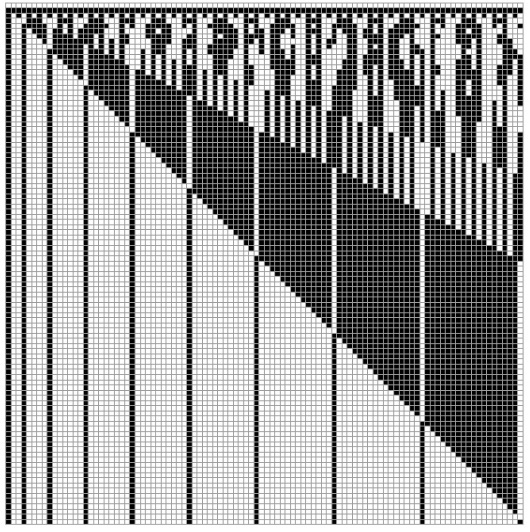 All integers but squares have en even number of distinct factors. For every factor, a light was switched on/off. After an even number of such operations the light is in its original state - off. 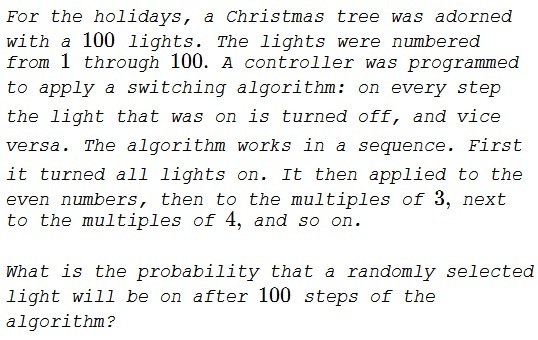 This is a paraphrase of problem 65277 from a Russian problem collection. The illustration is by Marcos Carreira.